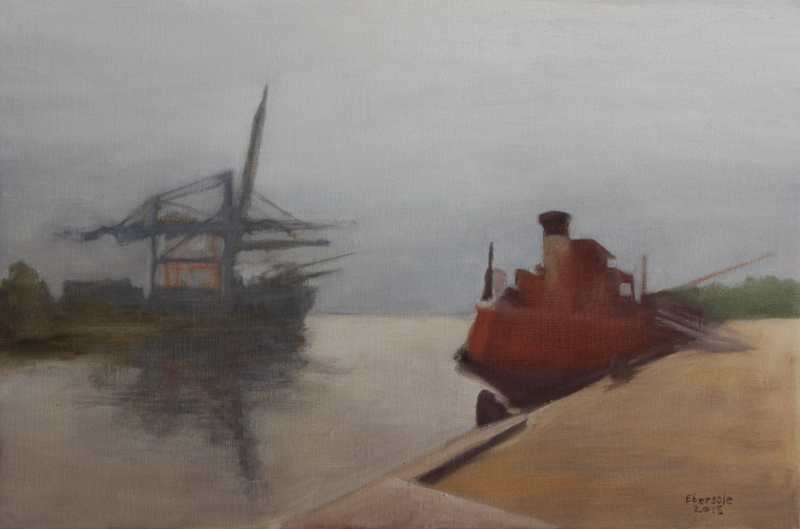 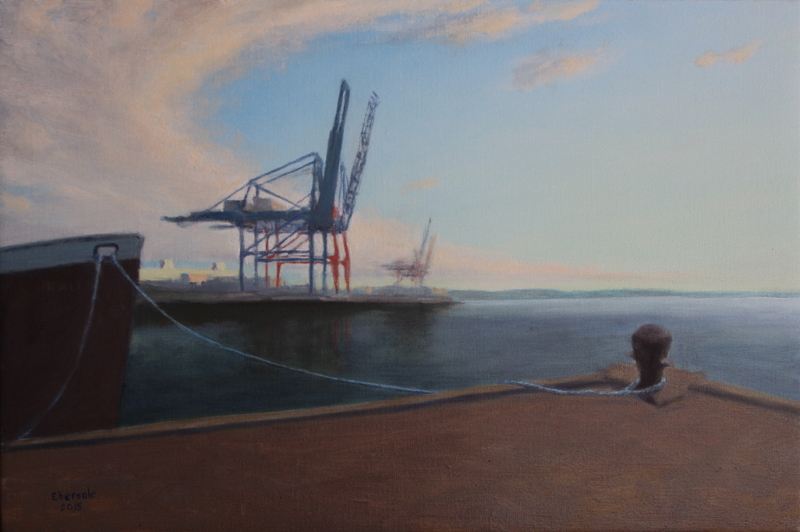 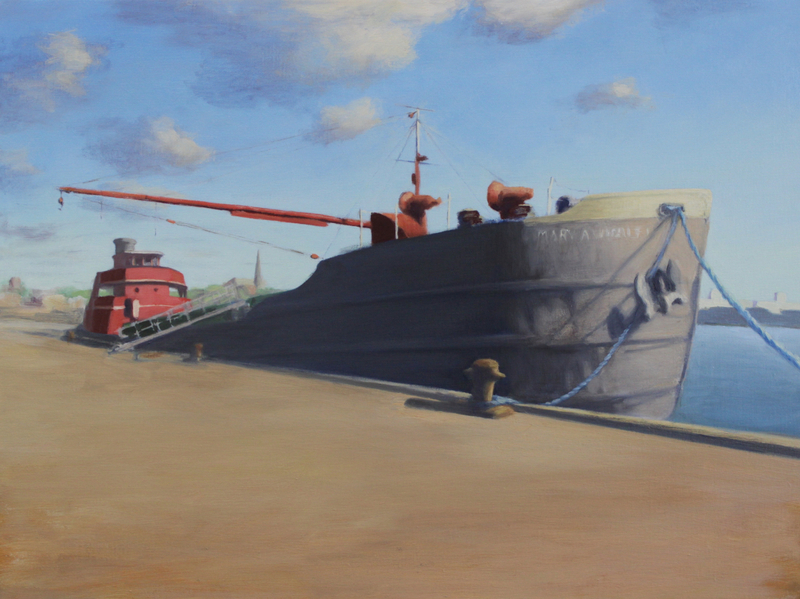 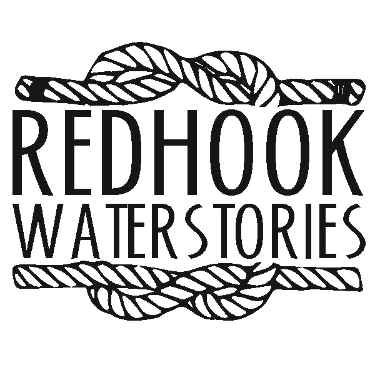 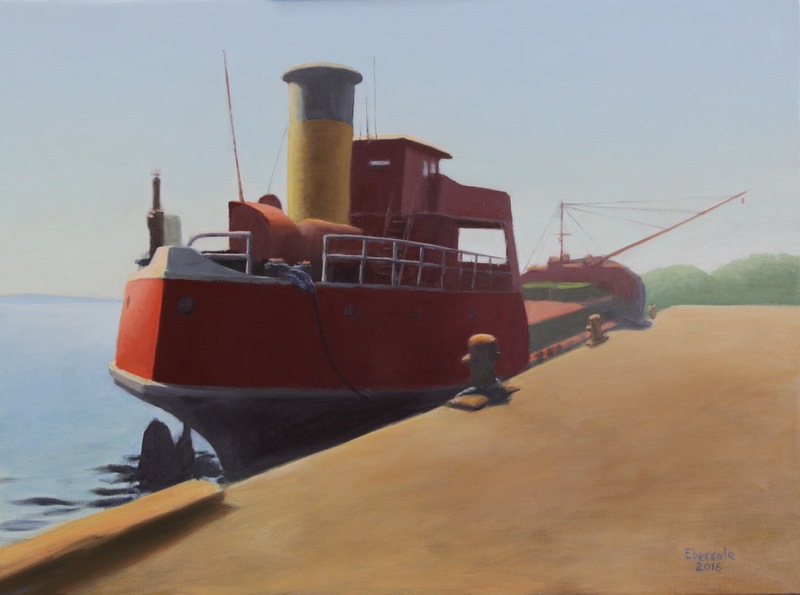 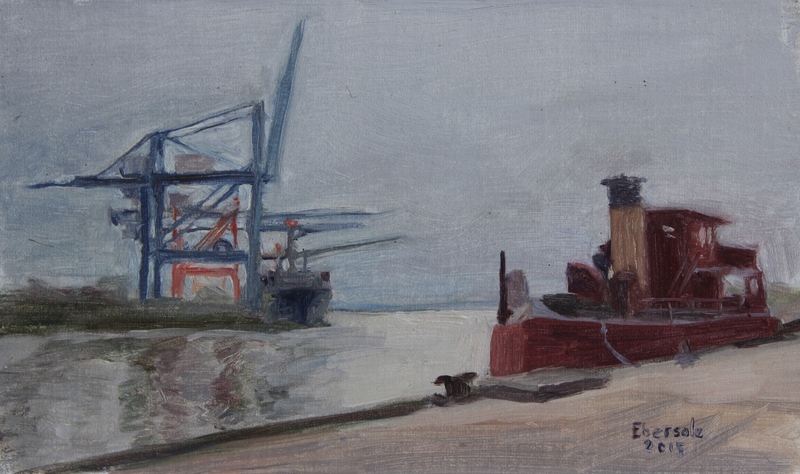 In the spring of 2015 artist Jim Ebersole was invited by Portside NewYork to paint and draw the Mary A. Whalen and her surroundings during the last weeks of her time inside the Red Hook Container Terminal. 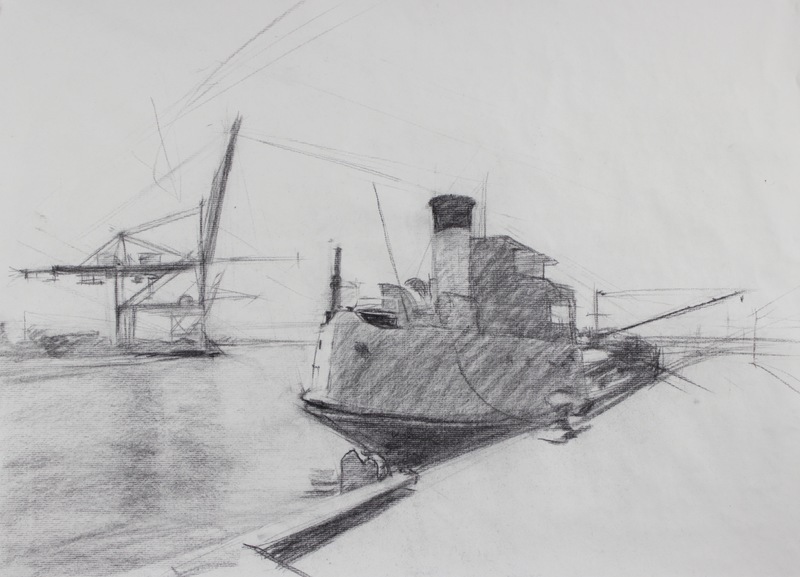 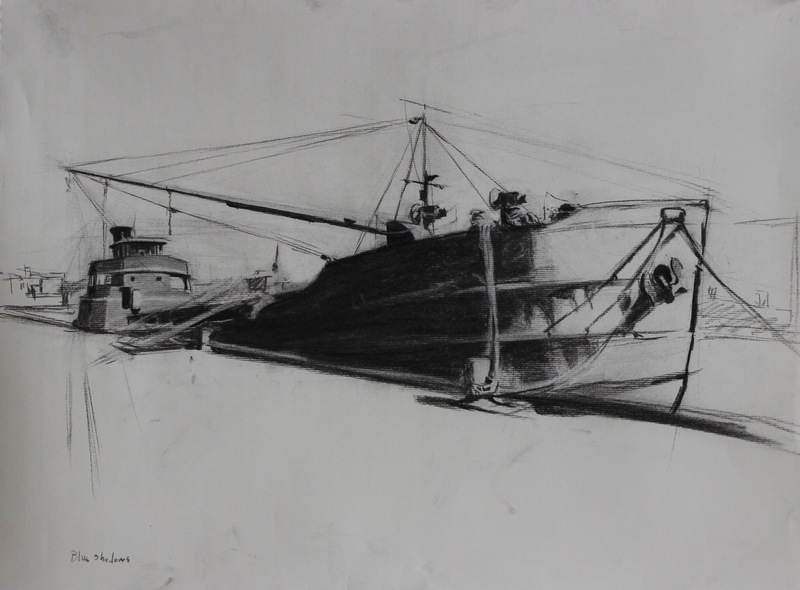 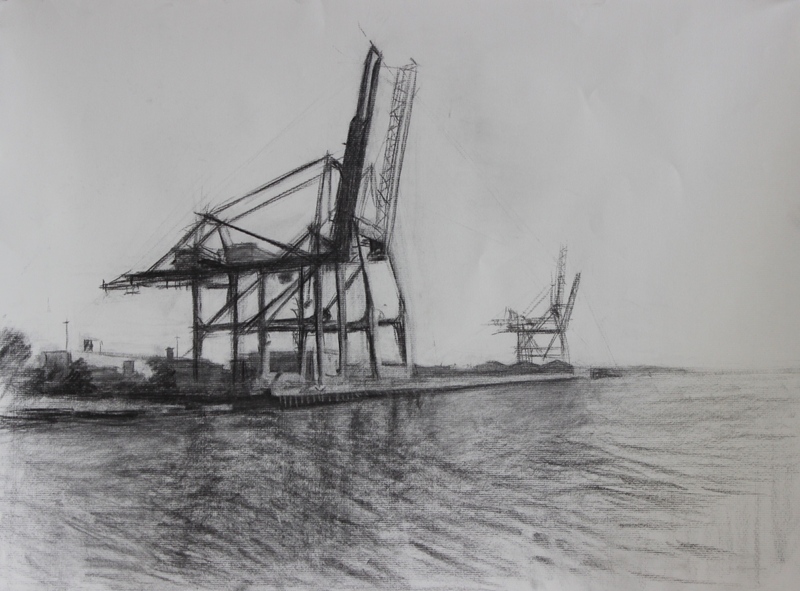 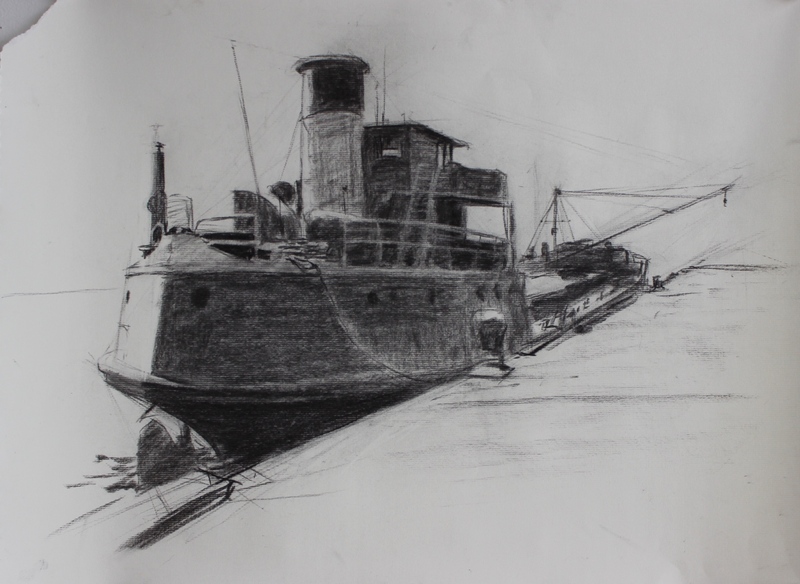 He spent several days doing oil sketches and charcoal drawings of the historic ship and the towering cranes. 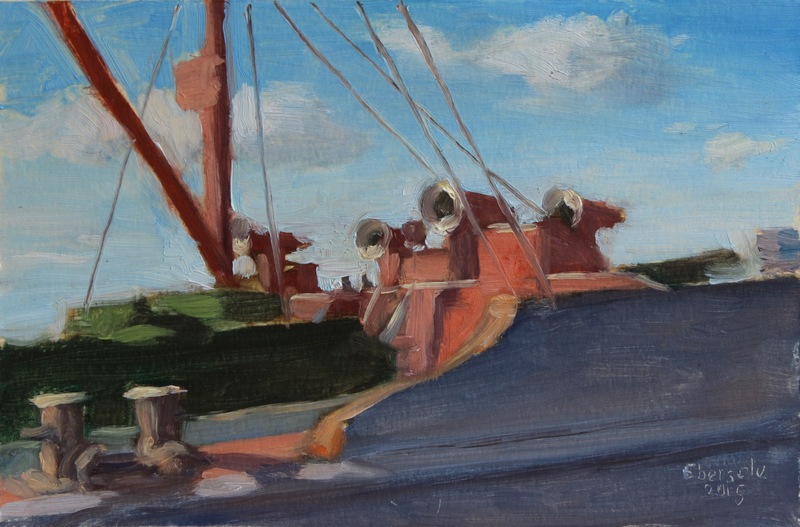 Over the course of the year since then he has used these studies as the basis for more finished studio paintings. 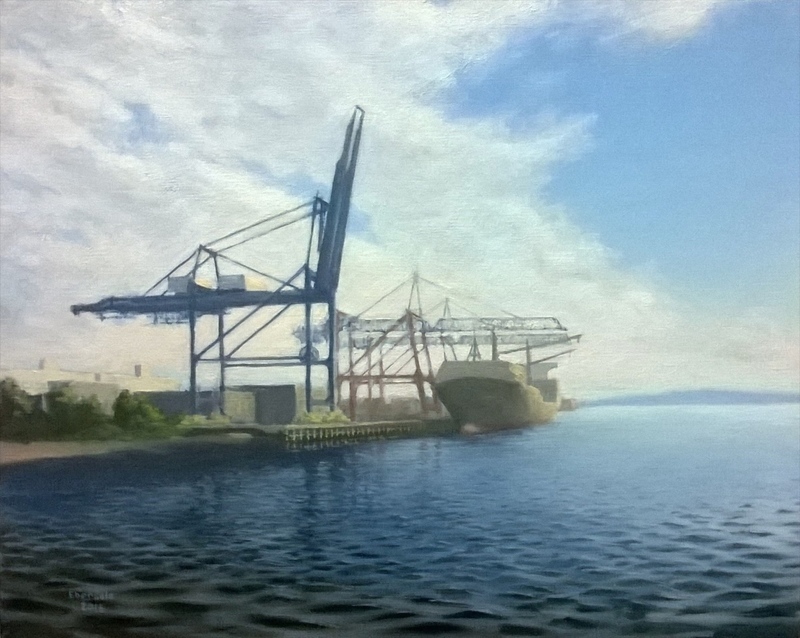 The container port is a dramatic environment that few people get to experience up close. 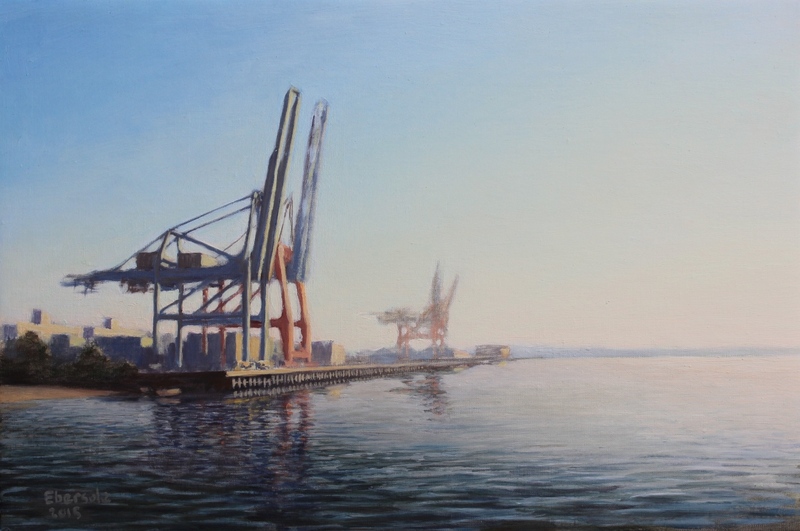 The goal of the painter is to convey the sense of drama inherent in the grand scale of the port and the vistas as well as the serenity that is inspired by the relative quiet and the stillness of the water.